Conférence : le cinéma des femmes d’Afrique francophone par Stéphanie Dongmo, publié le 7 décembre sur Le Blog de Stéphanie Dongmo. The Cinema of Women from Francophone Africa by Stéphanie Dongmo. Published 7 December 2012 on Le Blog de Stéphanie Dongmo. Translation from French by Beti Ellerson. They were present in front of the camera at the beginning of African film productions and since the 1970s they were present behind it as well, though they remain relatively unknown. 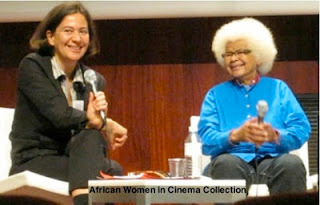 In order to highlight the work of these women in the profession, an international colloquium on 40 years of francophone African women filmmakers was held in Paris the 23-24 November 2012 at the Quai Branly Museum and the National Library of France. An occasion to review the history of the cinemas of African women and their challenges. Historically the first film by an African francophone woman is Tam-tam à Paris, a short film by Cameroonian Thérèse Sita Bella (1933-2006), made in 1963. The cinema of African francophone women is, therefore, 49 years old. However, the colloquium focused on the pioneer Sarah Maldoror of Guadeloupe for her film Sambizanga, which focused on Angola and was released in 1972. Brigitte Rollet, organiser of the colloquium explained that the film by Sarah Maldoror was renown and available to the public, unlike the film by Sita Bella, which is virtually unknown. Beti Ellerson, the Director of the Centre for the Study and Research of African Women in Cinema, presented an historical account of African women in cinema: "going beyond all the reasons that they were not successful, were discouraged or did not even dare to dream, passionate about their work, they continued, and said yes" [translator's edited version]. In 1963, Thérèse Sita Bella directed "a film that is often talked about but has never been seen". After playing a role in the film Petit à petit by Jean Rouch released in 1971, the Senegalese Safi Faye directed the short film La passante in 1972, and the feature documentary Peasant Letter in 1975. Before this period, Sarah Maldoror, African by adoption, directed the short film Monagambee in Algiers in 1969. Released in 1972, her feature film Sambizanga focuses on the death by torture of Domingos Xavier, a militant of the Angola liberation movement, and especially his wife’s struggle to find him. According to Beti Ellerson, Sarah Maldoror contributed to the liberation cinema in Africa and is a reference for numerous African women filmmakers. At the end of the 1970s and in the 1980s women of the Maghreb emerged, such as Algerian Assia Djebar with her film La Nouba des Femmes du Mont-Chenoua in 1977 and Moroccan Farida Benlyazid with Une porte sur le ciel in 1988. In 1991 the PanAfrican Union of Women Professionals of the Image was created at Fespaco with the objective to promote realistic visual representation of women and parity in all areas of film production. As Beti Ellerson noted the emergence of cinema in Africa coincided with the independence movements of the 1960, when Africans re-appropriated the camera to counter the colonial gaze. During the 1980s women focused on the development and empowerment of women. During the 1990s, taking distance from western feminism, non-western women and women of colour focused their attention on issues more pertinent to their realities. Presently, many African women who live and work outside the continent embrace a cinema without borders, which in some cases focus on non-African related themes. In the case of the Ivorian Isabelle Boni-Claverie, she has not yet directed a film in Africa. Moreover, Cameroonian Oswalde Lewat has made films outside of Africa about the Amerindians of Canada and students in film schools in Israel. Jean-Marie Barbe, director of training at Africadoc, noted that there are as many women as men who enter into documentary filmmaking in Africa: "it is specific to this genre perhaps because men dominate fiction and the documentary is more open with more user-friendly tools." Even though there are many women who enter documentary filmmaking, they are not very visible. Jackie Buet, director of the International Women's Film Festival of Créteil notes the lack of openness to women at festivals. In 2012, for example, there was not one film by a woman at Cannes. Moreover, a petition was launched in May 2012 to protest against this absence in the official competition. And it is worth noting that since its creation in 1969 no woman has ever won the Yennenga Stallion, the grand prize of Fespaco. According to Jackie Buet the fault lies in a critique that remains stagnant and in a global society that transmits demeaning images of women. Brigitte Rollet agrees, adding that "even though there are more and more women filmmakers, it is still the idea that cinema is a male activity...women filmmakers have been marginalised in the history books of cinema...there is the fact that women have not been integrated into African cinema…Cinema is a costly art, and producers are even more hesitant to finance a high-budget film directed by a woman. This is a situation that African women filmmakers share with numerous women filmmakers in the West." Sarah Maldoror transcends this debate asserting that problems of women filmmakers are those of African cinema in general, that of training, funding and distribution: “We must stop begging for funding and finance our own films. When there is an African film in the cinema houses, we should be the first ones there, to learn about our culture. If we don’t do so we are at fault. For Isabelle Boni-Claverie, films with black actors and by black filmmakers should have access to general distribution, and if this were the case, there would no longer be a question of a man’s cinema or a woman’s cinema. Dans son récit, « le dit du cinéma africain » l’inimitable griot-historien Amadou Hampaté Ba, relate l'extraordinaire expérience de sa mère Kadidia Paté et sa rencontre avec le cinéma pour la première fois. Ce rendez-vous fascinant et édifiant avec le cinéma nous fournit une introduction à une préhistoire en 1934, de la spectatrice africaine et son regard sur le cinéma. J'en viens à ma mère, Kadidia Paté. Elle était restée sous l'influence de l'anathème jeté, en 1908, par les Ulémas de Bandiagara, sur la machine « cracheuse d'ombres ». En 1934, elle vint me rejoindre à Bamako, où j'exerçais mes fonctions de commis expéditionnaire (secrétaire indigène). Je demandai à ma mère d'aller au cinéma avec moi. Ma mère, ma femme Baya Diallo et moi-même, nous allâmes finalement au cinéma. Ma mère suivit la projection du début à la fin. Elle n'eut aucune réaction extérieure. Elle resta impassible, comme si elle n'avait rien vu ni entendu. Mais, après la prière de maghreb (« coucher du soleil »), Maman me dit : « Amadou, mon fils, hier soir j'ai vu cette machine merveilleuse. Que des hommes arrivent à une pareille réalisation, ce n'est pas cela qui cause ma surprise joyeuse. Qu'un homme accomplisse un miracle, cela ne me surprendrait nullement, car, pour moi, cela reste dans le domaine des choses possibles. Tierno Bokar, notre maître, nous a enseigné qu'Allah a fait de l'homme son Représentant sur la terre. » Ce prestige n'a pas été donné à l'homme par Dieu sans délégation d'une parcelle de la puissance divine. Or l'accomplissement des merveilles est un effet qui a sa cause en la puissance de Dieu. Il n'est donc pas étonnant qu'un être nanti d'une parcelle de cette puissance - en l'occurrence l'homme - accomplisse des merveilles. C'est plutôt le fait pour l'homme de ne rien réaliser de merveilleux qui devrait surprendre. « J'ai admiré la réalisation du cinéma par des hommes, mais je n'en suis nullement surprise. » Je tiens à te remercier de m'avoir amenée au cinéma. Je demande pardon à Dieu. J'ai eu hier la preuve que la plus grosse erreur qu'un homme puisse commettre sur cette terre, c'est de condamner avant de voir et de connaître. J'ai senti combien il est mauvais de refuser de voir, ne serait-ce que pour s'informer. Tierno Bokar a dit : "La sagesse commande de connaître tout, car cela est préférable à tout ignorer. Il faut connaître le mensonge pour le séparer de la vérité. Il faut connaître le bien pour le distinguer du mal." — Maman, quelle est cette chose ? » demandai-je. Lorsque nous sommes entrés au cinéma, avant la projection, tu m'as montré une grande toile blanche sur laquelle devaient venir se projeter des faisceaux de lumière qui deviendraient des images que nous pourrions alors regarder et distinguer. Tu m'as également montré une maisonnette située assez haut par rapport à nous. Tu m'as dit que c'était dans cette petite pièce qu'était installée la machine qui crache les images. » Cette maisonnette est percée de quelques ouvertures par lesquelles jaillissent des jets de lumière qui s'arrêtent sur le grand pagne blanc. » Dès que l'opérateur que nous ne voyions pas commença son travail, des rayons lumineux accompagnés de quelque bruit s'échappèrent de la maisonnette. Ils passaient par-dessus notre tête, alors que nous étions plongés dans l'obscurité profonde, allégorie de notre ignorance. La lumière sortait de la maisonnette, non pas dans sa totalité, mais par minces filets, c'est-à-dire par portions mesurées. » Nous faisions face au grand pagne blanc. C'est seulement en le regardant que nous pouvions nettement voir, distinguer et comprendre les images qui se déroulaient. On pouvait voir des chevaux courir, des hommes marcher, des villages se profiler. On voyait la brousse épaisse, la campagne fleurie, la plaine qui dévale. Tout cela comme dans un long rêve, clair et précis, un rêve fait en état de veille. » Après avoir longtemps contemplé le grand pagne, je voulus, sans lui, percevoir directement et rien que par mes yeux les images qui, sûrement, sortaient de la maisonnette. Alors, que m'arriva-t-il ? Dès que je me tournai directement vers les ouvertures de la maisonnette, les faisceaux lumineux qui s'en échappaient m'aveuglèrent. Bien que les images fussent virtuellement dans les rayons, mes yeux n'étaient pas assez puissants et efficaces pour les y déceler. Je fermai alors les yeux, comme pour me concentrer intérieurement ; mes oreilles continuaient à percevoir nettement les sons qui accompagnaient les jets lumineux. Ici finit la narration de ma mère. 1. Nom du cinéma en langue indigène du Mali (corruption du mot « théâtre »). « Le dit du cinéma africain » par Son Excellence Amadou Hampaté Ba (premier catalogue sélectif international de films ethnographiques su l’Afrique noire, publié en 1967 par l’Organisation des Nations Unies pour l’éducation, la science et la culture). À lire dans son intégralité. Osvalde Lewat (Cameroon), Isabelle Boni-Claverie (Côte d'Ivoire), Fanta Regina Nacro (Burkina Faso), Rahmatou Keita (Niger), Monique Phoba Mbeka (Congo-DRC), Farida Benlyazid (Morocco), Nadia El Fani (Tunisia), Rama Thiaw (Senegal). Eight african women filmmakers talk about their cinema during moments at the Colloque on the 40 years of cinema by Francophone African women filmmakers, held 23-24 November in Paris at the Quai Branly Museum and the (BnF), the National Library of France. 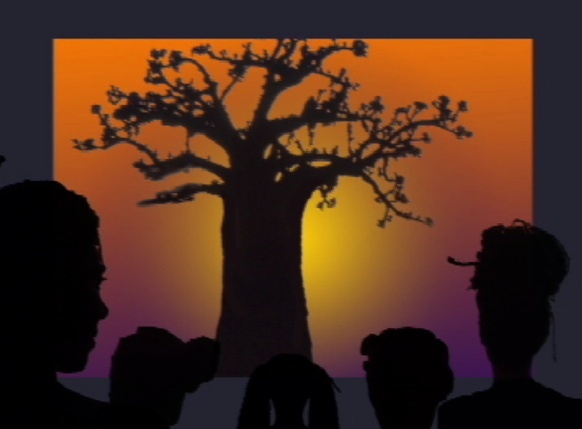 A film by Stéphanie Dongmo and Anglade Amedée. Nadia El Fani: That is the eternal question: Is there a women's cinema? Rama Thiaw: I don't think so. Fanta Nacro: (Laughter) What a question! Farida Benlyazid: I don't think so. Fanta Nacro: In Africa it's just about making a film period. Rahmatou Keita: When one is African and a woman, to be a filmmaker is to be a filmmaker. Isabelle Boni-Claverie: It is the same thing as with a man. Rahmatou Keita: I am a filmmaker like any other African filmmaker or any other filmmaker in the world. In Africa there is one particularity, there is not a film industry. Nadia El Fani: At first sight when one looks at a film made by a woman one thinks of a woman's film, but no, women make films and men make films and of course we don't make them in the same way. Rama Thiaw: Of course there are certain things, culturally we are not raised in the same way. But in the end there is no cinema specific to gender. In the same way that there is no African cinema, but rather cinema, period. Monique Mbeka Phoba: We both have the same issues as it relates to producing a film, looking for funding. Are there any specific difficulties in making a film for women? Osvalde Lewat: Perhaps men appear to be more legitimate and are able to do more things. Whereas with women depending on the subject, there can be cases where it is a handicap and in others an asset. I would say that there have been situations where doors have been closed because I am a woman and in other cases I was able to benefit from it, because there are not many women I was able to open other doors. I would not say that it is a disadvantage nor an advantage. Monique Mbeka Phoba: It is up to us to liberate ourselves from internal limitations. Rather than talk about external difficulties, I look at the situation based on the internal limitations that we impose on ourselves. For instance, thinking because you are a mother you do not have the time, the possibility or energy to do other things that would allow you to earn a living, other than take care of the family. Those are the internal limitations. After all, there are means to be able to make films and still be responsible towards one's family, but there is also a responsibility to the community, because the films that we make are important. Isabelle Boni-Claverie: As a woman I have not encountered difficulties as a filmmaker. 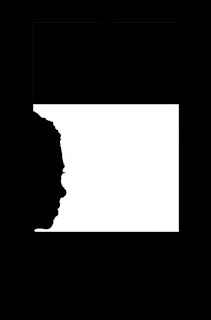 I would locate the difficulty within the identity of being black or African. That in Africa the history of cinema is not as long, film production is more complicated there, or being black in France, the themes of our films may appear to appeal to a minority and there is less support and therefore we must work harder. Perhaps in this context there are additional difficulties, but in terms of being a woman, I don't think so. Nadia El Fani: We live in societies where there is gender inequality. And that is why I am a feminist, as long as there is inequality between men and women I will be a feminist. Because today we still need to fight for women's rights, because it will not happen on its own. Rama Thiaw: No, not at all, I have an investment as a human being. Where is my place within humanity, and what will I tell my children, whether a boy or girl? That is what I am interested in. I do not situate myself as a feminist, it is a non-issue, I situate myself as a humanist. As a woman do you feel that you have a particular role to play? Farida Benlyazid: Yes, as a woman I feel that I am working for the rights of women. Perhaps it does not happen right away, but it is gives food for thought, a pause for reflection, that's what is the most important! Fanta Nacro: I came to cinema to tell stories, not to take up the cause for women, even though in some of my films I represent women as I imagine them and I do defend their rights. But that is not the main objective for taking up the camera, to defend the rights of women. Osvalde Lewat: I do not feel that I play a certain role as a woman, I have felt for a long time very committed to tell certain stories because I come from this continent. I have a perspective of the world having made films in different parts of the world, the Americas, Asia and Africa. I feel an imperative to tell stories that touch me and that may interest and touch others, and that could evolve a subject or change a situation. Osvalde Lewat (Cameroun), Isabelle Boni-Claverie (Côte d'Ivoire), Fanta Regina Nacro (Burkina Faso), Rahmatou Keita (Niger), Monique Phoba Mbeka (Congo), Farida Benlyazid (Maroc), Nadia El Fani (Tunisie), Rama Thiaw (Sénégal). Interview by Stéphanie Dongmo, originally published on Le Blog de Stéphanie Dongmo, (28 November) and translated from French to English by Beti Ellerson. Brigitte Rollet, researcher at the Centre d'histoire culturelle des sociétés contemporaines (CHCSC) Centre for the Cultural History of Contemporary Societies at the University of Versailles Saint-Quentin-en-Yvelines in France, organised the Colloquium-Meeting "Francophone African Women Filmmakers: 40 years of cinema (1972-2012), held 23-24 November in Paris at the Quai Branly Museum and the (BnF), the National Library of France. She talks about the issues that were raised during the meeting and the challenges that women filmmakers face in Africa. What motivated you to organise the colloquium on 40 years of cinema by Francophone African women filmmakers? While studying the history of French women filmmakers, I realised that there were the same funding problems and the same problems regarding visual representation. These women filmmakers have always been marginalised in the history books of cinema. There is the fact that women have not been integrated into African cinema. I thought that it was necessary to celebrate these women and trace the emergence of cinema by women in Africa. Historically, the first woman filmmaker was the Cameroonian Thérèse Sita Bella with her film Tam-tam à Paris in 1963, however the focus was on the Guadeloupean Sarah Maldoror as pioneer. Why this choice? It is true that there was Sita Bella but the films of Sarah Maldoror and Safi Faye have left their mark. I don't think that the same thing could be said about the film of Sita Bella because it was less known, most people are not even aware of it, I don't even known where to view it, which is also the case for Safi Faye. By organising the colloquium in the physical space of the BNF (National Library of France), I wanted to also highlight the problem of preserving a cinematographic cultural heritage by recalling that there are films that have been lost. What is the history of Francophone African women filmmakers? It varies from country to country, based on whether there is the political will to promote cinema. But women are always a bit sidelined in cinematic development, especially in societies where one's gender determines whether a woman is behind the camera. When one looks for women, one will find them. I wanted to make this history visible. What specific problems do Francophone African filmmakers encounter? Cinema continues to be thought of as a male activity. The fact that there are many women filmmakers does not negate this perception, and African women filmmakers are not visible. There are individual trajectories, and there are developments, but not national cinema policies. In countries where there is a genuine political will to develop a cinema culture, there are more women than in those where this interest does not exist. It is a question of economics. Cinema is a costly art, and producers are even more hesitant to finance a high-budget film directed by a woman. They are only willing to help those who have proven themselves. If one is not able to prove one's ability, it is difficult to justify receiving this kind of funding. This is a situation that African women filmmakers share with numerous women filmmakers in the West. Around the world women's film festivals are more and more present. Are these specialised festivals a solution? Women's film festivals are a solution as they provide more visibility for the films. Afterwards the question is whether there is the possibility for these films to continue to exist beyond the festival circuit. And that is the problem with African cinema in general. It is a cinema that is well-financed but is not able to find a place among theatrical releases. This is a global phenomenon. If women's film festivals provide the venues for films to be viewed, this can only have a positive effect for women who make films in Africa. Propos recueillis par Stéphanie Dongmo, publié le 28 novembre sur Le Blog de Stéphanie Dongmo. Brigitte Rollet, chercheur au Centre d'histoire culturelle des sociétés contemporaines (CHCSC) de l’Université de Versailles Saint-Quentin-en-Yvelines en France, elle a organisé un colloque international sur les « 40 ans de cinéma » de réalisatrices d’Afrique francophone, les 23 et le 24 novembre à Paris au Musée du Quai Branly et à la Bibliothèque nationale de France (BnF). Elle parle de l’enjeu de cette rencontre et des difficultés que rencontrent les femmes réalisatrices en Afrique. Qu’est-ce qui vous a motivé à organiser ce colloque sur les 40 ans de cinéma des réalisatrices d’Afrique francophone? En étudiant l’histoire des réalisatrices françaises, je me suis rendu compte qu’il y avait les mêmes problèmes de financement et les mêmes problèmes d’image. Ces réalisatrices ont toujours été un petit peu marginalisé dans les ouvrages d’histoire du cinéma. Il y a le fait de ne pas intégrer que le cinéma africain est aussi fait par les femmes. Je me suis dit qu’il fallait célébrer ces femmes qu’on ne célèbrera sans doute jamais et marquer l’émergence d’un cinéma fait par les femmes en Afrique. Historiquement, la première réalisatrice africaine est la Camerounaise Thérèse Sita Bella avec son film Tam-tam à Paris en 1963, mais vous avez plutôt choisi la Guadeloupéenne Sarah Maldoror comme pionnière. Pourquoi ? C’est vrai qu’il y a eu Sita Bella mais les films de Sarah Maldoror et de Safi Faye ont marqué. Je ne pense pas qu’on pourrait dire la même chose du film de Sita Bella parce qu’il est moins connu, il y a beaucoup de gens qui ignorent son existence, je ne sais pas où on peut le voir. C’est aussi le cas pour La passante de Safi Faye. En organisant ce colloque dans un lieu comme la BnF, je voulais aussi montrer la difficulté de garder un patrimoine de ces films, rappeler qu’il y a des films qui disparaissent. Quel est l’histoire des réalisatrices d’Afrique francophone ? Elle varie selon les pays, selon qu’il y a une volonté politique de promouvoir le cinéma. Mais les femmes sont toujours un peu le parent pauvre du développement de la cinématographie, surtout dans les sociétés où les différences de sexe font que la place d’une femme n’est pas derrière la caméra. Quand on cherche des femmes, on les trouve. Mon souhait c’était de rendre visible cette histoire. Lire dans son intégralité sur Le Blog de Stéphanie Dongmo. An outstanding film that shows the extent to which women go in trying to help each other against adversity…. The jury awards Atrophy or Fear of Fading for a daring and innovative work that explores the boundaries of film language…. The jury also acknowledged the high quality of the body of work from the Big Fish School for Digital Filmmaking of South Africa. The students from this film school show that impressive talent can lead South Africa into an exciting new film future. This year the jury received a lot of good documentaries and in particular six outstanding ones, that touched on many different life experiences. However, Cry of the Turtle Dove was a cut above the rest…. The story of two lovers is a universal story but the script goes beyond the normal and deals with it in a unique and refreshing manner making it stand out and demand the viewer’s attention from the opening to the end. In a film awash with attention grabbing performances, this young girl manages also in a field with so many excellent nominations, to steal an edge over the others with a memorable, loveable, and innocent performance. This film’s cinematography is so powerful that the images transport you to a historical time and leave an indelible mark on one’s mind. The director manages to deal with the subject with such clever nuancing and creative balance between the powerful woman and the men around her. Queen to Play provided the most positive portrayal of women in all the films. Not only is she a positive character, but she manages to straddle the fine line between being a powerful woman and being a destructive woman striving for what she wants, gets it and still holds on to a family that is dear to her. The film encompasses all that was looked for in a film, especially for this festival. A woman phenomenon, men who are or become strong enough not to be intimidated by the independence of a woman. The positive themes of the film portrayal dovetailed to make this film an overwhelmingly favourite for overall best film. The film that inspired to stay alive—vibrant and visible this year—has already been awarded tonight. The winning film is not a feel-good movie. The little boy is orphaned at the age of ten, those around him mistrust and loathe him but it is the reaction of this young boy that qualifies the film as the winner in this category. He learns not to depend much from his relatives or society but want to further this education o that he becomes a better somebody in society. His role in the film depicts the kind of men needed in society, those that do not blame circumstances for their failures but are determined to make the best out of the little that is there. The director Francesca Sibanda Chamunokora made a brave effort to make a film that defies the stereotype of a female director. The film explores the journey of Mpiyabo a young gangster who goes to all lengths to survive. However it is more than the gangster life the filmmaker shows us but the pain of a mother caught up in her son’s life. This film is wholly Zimbabwean but can compete with the best from the region. The winner of the Shasha/Ingcitshi/Zim Experts shows that Zimbabwean filmmakers have come of age and more filmmakers will join those few who have the cut internationally. Rina Jooste uses filmmaking as a tool to explore the complex layers of South African society with a focus on Afrikaner identity and the collective history of apartheid from both sides. Rina, recounting Afrikaans history through film is an important part of your work. Tell us a bit about yourself, your evolution into filmmaking and your passion to tell this history. I was born and bred in Pretoria, South Africa. At the time of growing up in the 1970’s, 80’s, during the apartheid era, the Afrikaner community I grew up in was conservative and inclusive. My parents are progressive people (in a non political sense) and exposed our family to a wider world with more options. At the time, the Afrikaners were indoctrinated into an exclusive world of Calvinism and anything that was the “other or unknown” was feared. After school I studied a three-year diploma course in progressive and jazz music and focused on piano and orchestral arrangements. I worked as a freelance musician for a number of years, often in theatre productions and then progressed into the theatre world of telling stories through drama and music. I managed storytelling through drama / music for the Department of Defence for a number of years, using drama / music to portray social messages. In this period I completed an honours degree in history through the University of South Africa. The social science discipline taught me analytical, research and writing skills that are applied today in my documentary filmmaking. I started my own company continuing to do social theatre and that led me to the world of documentary filmmaking. In 2007 I made my first documentary film, and love the medium of film to tell stories specifically relating to social, political and historical themes. Africans of European descent are asserting their identity and claiming their experiences as part of African history, as an Afrikaans-speaking South African of European descent, how do you position yourself and your work? Like many Afrikaners who grew up during apartheid South Africa, (excluding younger generations) I also battled with our troubled past, had questions and tried to find a place of belonging. As a result, in 2008 I produced, researched and directed the documentary film Afrikaner Afrikaan. The film uses Afrikaans music as a springboard for discussion to capture the new buoyancy and divergence in Afrikaner identities freed from the straitjacket of Afrikaner nationalism and Calvinism. This was a cathartic experience. Today I consider myself a proud Afrikaans speaking South African, with a firm place and sense of belonging in my country of birth, promoting cultural tolerance. In this regard, I have a few projects in the pipeline, addressing similar issues. Forgotten (2007) is a film about Ziggibo Dennis Mpale, musician and ANC militant, buried in the cemetery among most of the anti-apartheid militants buried there. His son still hopes to build a “home”, tombstone for him. Who was Ziggibo Dennis Mpale, why has he been forgotten, and why did you choose to tell his story? Forgotten only touches on Dennis Mpale, and we focus on his son Linda Olifant who mentions his father who also happened to be a musician campaigning for the ANC. The film explores what happened to musicians who left the country to join the ANC Amandla Cultural Ensemble in exile and the impact it has on their lives today. Many of the exiles returned to South Africa from 1990 onwards and it seems that many are forgotten in the new political dispensation where it is everyman for himself as opposed to the ubuntu (togetherness and sharing) that used to prevail during the struggle for liberation. I used members of the Amandla Cultural Group to tell their stories. They were in exile using music, song and dance to raise awareness of what was happening in South Africa during apartheid, touring the world with their musical production. The work they did resonated with my own background of social theatre. The group’s work is relatively unknown and it was an opportunity to showcase what they did as it is part of our collective history, and important for all South Africans to see what happened in the past, to get an understanding of each other’s cultures and experiences. 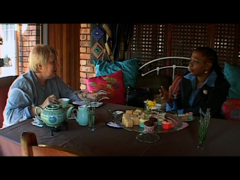 In Flowers of the Nation (2007) you trace the experiences of women who fought for and against apartheid, exiled ANC women and the parallel life of Arina Barnard an ex SADF member. Did you also arrange the meeting between ex MK member Totsie Memela-Khambula and Arina Barnard? It is interesting that the tears that are shed are by the white people, the black fighters seemed to be fortified as if by their experiences they were immune from the display of emotions. Flowers of the Nation was also produced with the aim of sharing our collective history because it is important that all South Africans know about the troubled past we share, and about the role that ANC women played in exile. I included the role of women in the SADF because it is in such stark contrast to what their counterparts in the ANC had to go through. It is important that people across the divide see this, for a better understanding of each other’s pasts and moving forward today. I did arrange the meeting between Totsie and Arina. Totsie is a very strong woman and it does seem that she underwent so much hardship that she is immune from displaying emotion, although it is evident that there are deep seated pain and grief, especially for missed opportunities in seeing her children grow up. Totsie resembles many other women who were in the same position as she was, away from family and loved ones for many years, raising children in hostile environments or leaving them at home with family. Many Afrikaner people, in the same position as Arina, do not know about the other side’s past, think about it or consider it important; in fact, many people are completely unaware and not interested. Therefore the message; we can only build our country and society and move forward when we know about each other’s pasts, and try to understand where we come from. I observe your filmmaking as it navigates through the layers of South African societies, often very different from each other. Jammer As Ek So Bitter Is | Sorry If I Seem Bitter (2009) focuses entirely on young white Afrikaner women whose issues echoe those that could be found in any Western society, psychologically damaged girls who find ways to escape. Why did you choose this subject for the film and who is your audience. The subject for Jammer as ek so Bitter is, was presented to me by a colleague who has an interest in peer pressure and bullying in schools. I pitched a series to the SABC under the theme of violence in our schools, focusing on peer pressure and bullying. The target audience is primarily parents of teenagers and teenagers themselves, across the divide and not only in white society. The focus on the psychological manifestations of living in a violent society leaves me feeling that there is something omitted as the visually comfortable and pleasant, even privileged setting, does not correspond to an environment that is often associated with violence and aggression. Is this violent behaviour and frustration the interiorisation of or the other side of the violence of apartheid as lived by white South African society? Perhaps I am generalising as one may find pathologies in every society. However, since I am talking about South Africa and its history I wonder what are its specificities in this regard. I specifically chose white girls from privileged backgrounds to show what goes on in our schools in white suburbs, and that we also find many problems outside of township schools. I refer to a ‘silent’ violence of peer pressure and bullying in schools, rather than literal violence. However, I do mention the violent society that we live in today, without exploring or showing this, as this is another subject entirely. Watching the film one gets the sense that the purported “Rainbow Nation” remains very segregated and the various sectors of the population continue to live their lives in this way. Has the film been shown among the diverse populations of South Africa? What has been the audience reaction? This is a difficult debate and cannot use this forum to comment. However, there has been a lot of progress with younger generations who grew up after apartheid getting along and living side by side, without seeing colour as an issue. Segregation amongst older generations are still commonplace. It is difficult to change the ingrained behaviour of people. My opinion is that there has been a lot of progress in cultural and racial tolerance on ground level, and many attempts to address this amongst the people living in South Africa. But cannot comment insightfully without statistics and research, and not for this forum. Audience reaction on the film from diverse populations has been positive. The reaction received is that it is an important message and wake up call to show to parents and teenagers across the divide, and shocking insight as to what goes on in schools. And that we need to have more films and media of such nature to show the public what is happening with our youth. The film won two South African Film and Television Awards (SAFTA) in 2011, for best director and best overall documentary. 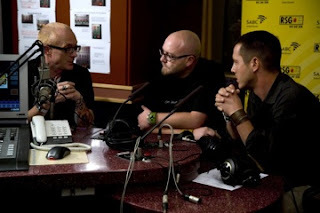 Afrikaner, Afrikaan (2008) is a dialogue about Afrikaner identity via music culture. There are many moments of tension, self-searching and disagreement about how this identity is reclaimed or whether it should be at all. The musicians clearly have different ideologies about Afrikaner identity and how it should be expressed. How did you bring the participants of the film together? Do you feel that you achieved your goal of having them work through among themselves, this vexed question of Afrikaner identity? I played around with ideas for the film for a long time and decided from the onset that Sean Else would be a main character because he wrote the song De la Rey that created a huge public debate about Afrikaner identity. 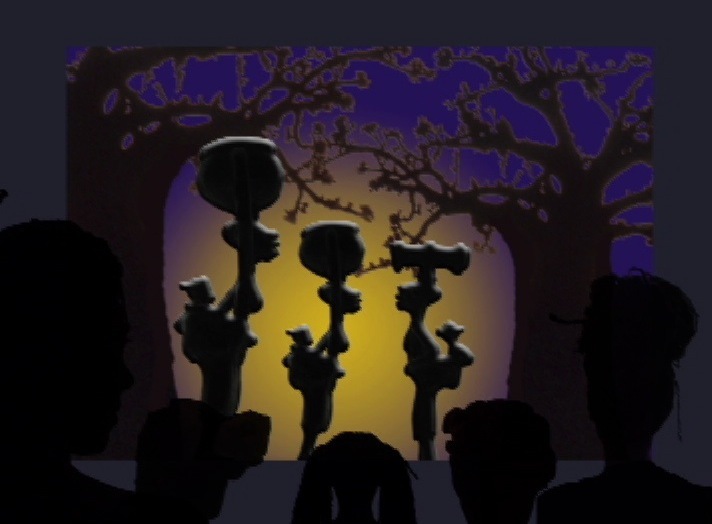 It was decided that the song would form the central theme and the story built around it. Sean was approached to participate and was keen to take part. Deon Maas was approached because of his outspoken approach and coming from an older, yet progressive Afrikaans generation. He was also keen on participating. Johrne van Huyssteen is more moderate and on the fence so to speak, and needed his inputs for balance between Sean and Deon. He was also keen to participate. In the end, the making of the film was a very pleasant, cathartic and enjoyable experience and I believe we all learnt and grew from it. 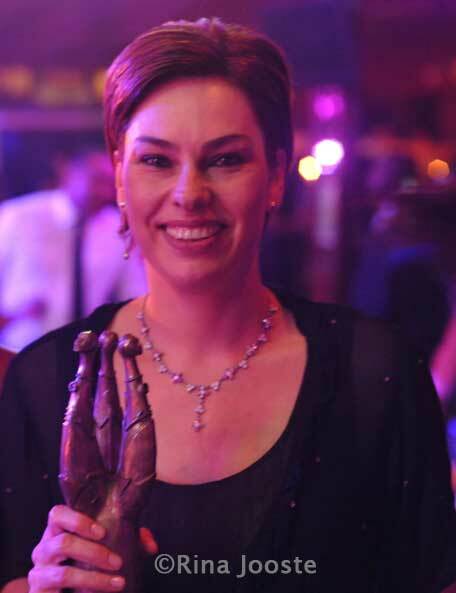 The editor, CA van Aswegen, also an Afrikaner, enjoyed the experience too, and also found it cathartic. Professor Kees Van der Waal’s historical perspective serves as a means of mediation in some ways in that he attempts to provide a context for both sides of the debate. He explains the significance of language, identity and music, is this also the reason that you chose to approach the theme in this way? The initial idea and planning was to let the characters tell the story and weave the narrative and not to use an academic in the film. However, Professor Kees van der Waal at the time was also busy with research about Afrikaner identity. He was very enthusiastic and passionate about his research, and we started dialogue about the theme after filming started. I decided to include his ideas because his explanation added to the debate in such a subtle manner that contributed context to the story. Laager appears to be very specific to Afrikaner culture and throughout the film is used as a metaphor. What is this concept of laager? Throughout its history, the Afrikaner was a minority group in South Africa. During the movement referred to as the Great Trek in the 18th century where Afrikaners moved away from British rule into the interior of the country, wagons pulled by oxen were used as the transport. At night the wagons were placed in a circle formation that became known as a laager. In simple terms, and the manner I used it in the film, it can be explained as a circle with people inside the circle protecting themselves and remaining exclusive, not reaching out to others and remaining a group on their own. Generation Now (2007) presents the South African “rainbow generation" who came of age after 1994 and has not lived the experiences of apartheid but rather only know of it based on historical references. I found this film less convincing when there was the obvious goal to bring the races together, than the film Afrikaner, Afrikaans when the Afrikaners were working through their own identities and expressed the tensions, disagreements and differences. I also thought that the comparison between Corlea’s embracing African influences in her music is very different than the black singers in the opera Black Tie Ensemble. It was not a true parallel, as opera is not an Afrikaner or even South African tradition. Why this choice? I wanted to show that music is a universal language that can promote tolerance amongst different groups; an Afrikaner vocalist singing African jazz and Tswana vocalists singing opera that stems from a European background, told through the eyes of the youth. Betrayed (2007) as the title implies, is about the experiences of several white former soldiers decades after their return from the South African Border War across Namibia and Angola. Many continue to grapple with their feelings of betrayal, guilt, anger even a sense of injustice. Perhaps many of the soldiers are marginalised and live on the margins of society, however you chose to trace the lives of a few who, though deeply marked, live privileged lives compared, let’s say to the black Africans who they fought against. And while this story is about the white former soldiers, it is also about those who fought on the wrong side of history, as it turns out. One of them states, “We were involved in a war”, but they want to tell us that our names will not be put onto monuments and peace walls. I find it disturbing that they pretend that we don’t exist.” An uncomfortable, compelling film, what were your choices in selecting the stories, the footage and the editing? The sound affects are especially stirring and you also have a background in music! As noted already, I have a personal interest in our country’s troubled past, and part of it is the Border War and manifestations thereof in post apartheid South Africa today, hence the film. I specifically chose three men who took part in the war and show how it affects them today, against the background of the manner in which the Afrikaners were indoctrinated during the apartheid era. In addition, I wanted to show how politicians use ordinary people as pawns in war situations; it is a universal concept. The stock footage was obtained from the Department of Defence Archives, and helped to tell the story. I wanted to showcase the military force of the former Apartheid government and therefore the selection of some of the footage. Regarding the choice of music and sound effects that are used to stir emotion, all credit to the editor CA van Aswegen. The film was aimed to stir emotion and create dialogue, which it did. Your most recent film, Captor and Captive, full of suspense, anguish and myriad emotions, is about both a historical event in Southern African history and the personal history of Danger Ashipala and Johan van der Mescht, two men who fought on opposite sides. As I stated to you after the screening of the film, I admit that I was initially a bit unsettled by what appeared to be a focus on the white captive, as if in some way to humanise the person who was on the wrong side of history, though I have since changed my mind. What motivated you to make the film? What was your process during the conceptualisation, film production and editing. Have other black spectators, especially from Southern African, had a similar sentiment as mine. What has been the reception of the film in Nambia and South Africa? Again, making this film Captor and Captive was motivated by my personal interest in our troubled past, and in this instance telling it through people’s experience of the Border War. The story of Johan van der Mescht has not been told before. I met him in 2007 through the film Betrayed and decided that it is a story that needs to be told. From the onset, I decided to find Johan’s captor and include that in the story. Everyone knew that SWAPO captured Johan, no one knew who the person was. I only located Johan’s captor, Danger Ashipala in 2009 and had to work through the Minister of Defence in Namibia to gain access to the SWAPO people. Both Johan and Danger were very keen to meet each other after 30 years and it was arranged shortly after meeting Danger for the first time. I took Johan and his family back to Namibia to meet with Danger and visit the site of his capture, 30 years later. The day of the first meeting between Johan and Danger in Windhoek was completely natural and nothing was set up except that I arranged for the two to meet each other. The film played out naturally after they met. They travelled to the place of the capture the following day and we filmed the events as it unfolded naturally. My aim was to tell the story of two enemy soldiers from opposing forces, with the underlying theme of reconciliation. The film is more focused on Johan, and the reason is both logistical and economical. Danger was only located in 2009 and lived in Namibia. Johan was located in 2007 and lived in South Africa, in close proximity to myself. The film took three years to complete, due to lack of funds and difficulty in locating Danger. I filmed Johan in phases since meeting him in 2007 and used parts thereof in the film. By the time that Danger was located in 2009, most of the research was in place and the remainder of the filming then took place. The editing also took place in phases due to lack of funds, but was eventually completed with the support from the National Film and Video Foundation of South Africa. The rest of the film was funded by myself—a passion project—only to be done once in a lifetime. The film has been well received by black audiences in both South Africa and Namibia, and they had a different understanding than you. In South Africa the general feeling amongst black and white audiences are very positive and people experience the reconciliatory effort. Feedback mostly received from black audiences are that they are seldom presented with the history from the other side and welcome the information in order to have a better understanding of our collective past. This was the same experience with the film Betrayed. And also interesting to note that former enemy soldiers are comfortable after meeting each other, since they have similar experiences, it is when the politicians start interfering that things go wrong. The film was received very well in Namibia. Danger Ashipala is a national hero of the liberation struggle and the fact that he captured Johan was a huge propaganda victory for SWAPO at the time. Up to today, Danger is remembered for capturing Johan. It was important for Namibia to show this story to its people, and the national broadcaster bought the film. No one in Namibia filmed or recorded the story of Danger Ashipala before. Sadly, he passed away in May 2010, months after he was filmed and met Johan. Your work on documenting history through film lead to your academic studies in history. You are currently pursuing a Masters Degree in History at Stellenbosch University and your film, Captor and Captive, will form part of the thesis. Talk about the process and how the film and Masters studies will come together. I am busy writing a thesis with the theme: Representing history through film, based on the film Captor and Captive. A lot of research was done to inform the content for the film. The content was not found in history books since this is current history and was all sourced through various documents in archives, newspapers and primary sources, memories and information from people who took part in the war. This came to the attention of the Head of the History Department at Stellenbosch University. He offered me the opportunity to enrol for a Masters in History where I submit the film in addition to the written thesis; the two products complement each other. It will contribute to the historiography of the Border War in South Africa. The thesis addresses the actual story/content of the film, reflecting on the filmmaking process and realities thereof, and how history can be represented through film, as opposed to written text only. The film is already submitted and the written thesis will be completed end of January 2013. As a body of work your films so far attempt to peel through layers of a society that has myriad opposing histories that have yet to be resolved, and most especially Afrikaner history fraught with a troubled, violent past. Do you see your work continuing in this direction? Would you also like to broaden your scope to deal with other themes? I have many projects in the pipeline addressing similar issues/themes, including the entire South African society. At this stage, I would like to continue in this direction since there is so much more to uncover and explore, and it falls within my field of interest and research. However, i am also telling stories with different themes like the most recent film completed in December 2012, The Doctor and the Miracle Pill. This is the story of an accidental discovery that woke up a comatose patient after being given a sleeping pill. The story revolves around Dr Wally Nel, a general practitioner from a mining town east of Johannesburg who stumbled upon this discovery in 1999, and how it is changing people’s lives, 13 years on. It focuses on the work he does in campaigning for the Stilnox (Ambient/Zolpidem) pill to be recognised to help people with brain injuries and the obstacles he encounters from the medical profession in doing so. In the context of the growing discourse on African cinema culture and identity, how would you define your filmmaking? I believe my themes address issues of identity across all divides, with more focus on Afrikaans speaking people. Interview with Rina Jooste by Beti Ellerson, December 2012. Née à Pretoria en Afrique du Sud, Rina Jooste a grandi pendant les années 70 et 80 dans une communauté Afrikaner conservatrice et exclusive. À cette époque de l'apartheid, les Afrikaners étaient endoctrinés dans un monde Calviniste enfermé sur lui-même. Mais ayant des parents avec une perspective progressiste, elle a été exposée à un monde plus large avec plus d'options. Rina Jooste a étudié la musique, le théâtre, ainsi que les sciences sociales qui ont ensuite été appliquées à ses recherches artistiques. Puis ses expériences avec le théâtre social dans une compagnie qu'elle a fondée l'amènera à la réalisation de documentaires. Comme beaucoup d'Afrikaners qui ont grandi sous l'apartheid, elle aussi luttait avec ce passé perturbé, se posait des questions et essayait de trouver sa place. Donc, à travers ses films, elle essaie de montrer une nouvelle identité Afrikaner diverse et énergique, libérée de ce côté étroit et nationaliste. Aujourd'hui elle affirme avec fierté son identité Afrikaner d'un vrai sentiment qu'elle appartient pleinement à son pays natal. Elle compte plusieurs films à son actif : « The Flowers of the Nation » Les Fleurs de la nation (2007), « Forgotten » Oubliés (2007), « Generation Now » Génération d'aujourd'hui (2007), « Afrikaner, Afrikaan » (2008), « Betrayed » Trahis (2008), « Jammer As Ek So Bitter Is » Désolée si je semble amère (2009), « Captor and Captive » Ravisseur et prisonnier (2011). À travers ses films, elle cherche une réconciliation en quelque sorte entre les gens séparés par l'apartheid, pour qu'ils puissent connaître le passé des uns et des autres, et donc mieux se comprendre et progresser ensemble. Lire l'interview en anglais avec Rina Jooste par Beti Ellerson dans son intégralité.